Technically, a volt is equal to energy per unit charge, meaning that it is the force that causes an electrical current to be driven between two points. 12 volts is the most common measurement of volts used in smaller electric motor applications; larger voltage amounts such as 24 volts may be required for extremely heavy-duty electrical motor applications. Voltages are also often referred to as electric potential energy, which is defined as the amount of energy that is required to move a unit of electrical charge to a specific point within a static, or un-moving, electric field. 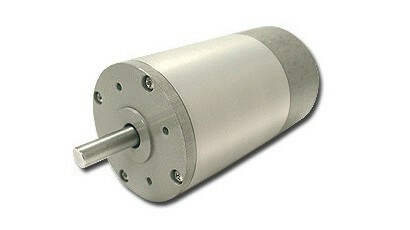 As a standard voltage measurement, 12v motors are commonly utilized in diverse applications and industries such as: industrial manufacturing, for use in the powering of smaller factory automation equipment; residential, in order to power home improvement tools such as sanders and power drills as well as household appliances such as blenders and dishwashers; transportation, for the powering of small vehicles such as scooters and motor-driven bicycles; and electronics, to power small electronic devices such as cigarette lighters and police sirens. While all electric motors provide the same basic function of converting electrical energy to mechanical energy, the method by which they convert the energy can differ greatly. In addition, 12v motors are not categorized by the method in which they covert energy but in the amount of electric force used in converting the energy. As a result, 12v motors may encompass many different types of electric motors and are not specifically referring to only one design or type of an electric motor. Most commonly, 12v motors are brushless DC motors, which are capable of operation without the use of brushes to transfer the electrical current. Whereas brushed motors may run into possible complications due to their more complex design, the design of 12v brushless DC motors has eliminated many of those issues. 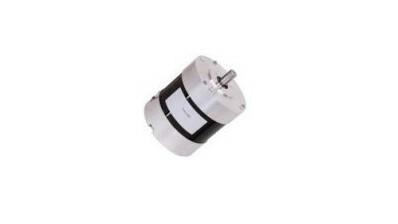 The main components of a 12v brushless motor are a permanent magnet external rotor, either three coils or a single coil, a type of sensor and drive electronics. Instead of using brushes to transfer the electric currents, 12v brushless motors transfer the current by means of the sensors, which are widely known as Hall effect sensors. While 12v motors can also refer to a type of alternating current (AC) motor, it is very rare compared to the overwhelming popularity of 12v DC motors. 12V Motors 12v motors are a type of electric motor that operates based on 12 volts, which are a unit of electrical force, of energy that they convert into mechanical energy to be utilized in the powering of various machinery or equipment.